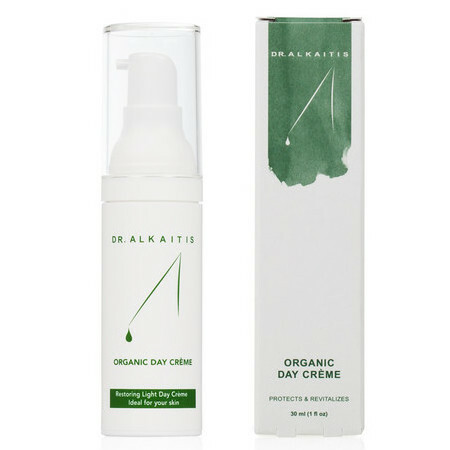 The Dr Alkaitis Organic Day Crème was created by Dr. Alkaitis, an accomplished research scientist with a Ph.D. in physical chemistry. This raw, plant-based and holistic anti-ageing day cream is ideal for all skin types and an excellent option for those with problem skin types including normal, dry, sensitive, oily, combination and mature skin as well as those prone to acne and mild rosacea. This daily facial moisturiser helps protect the skin against everyday environmental stresses whilst increasing luminosity. 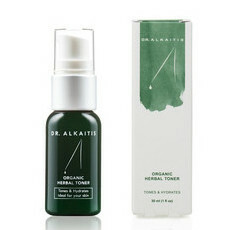 This light-weight formula includes an Aloe Vera gel base with a unique blend of organically grown ingredients including cold pressed Shea Butter, St Johns Wort, natural Vitamin E, natural Vitamin C, Echinacea, Horsetail and Marigold Blossoms which all work in harmony to provide a healthy glow. 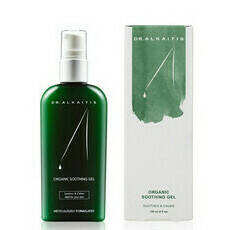 Made in the USA with Certified Organic Ingredients. Certified Vegan & Cruelty Free. Aloe Vera, Shea Butter, Vitamin C, Vitamin E.
Apply this luxurious light weight crème to face and neck sparingly for quick absorption. Provides a perfect base for make up. Use Daily. I found this to be a bit clogging for my oily skin. Perhaps it's the Shea butter. This is an amazing product! Extremely nourishing and hydrating for dry skin while absorbing quickly after application.